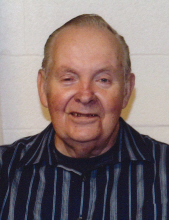 Lincolnton - Mr. Bobby R. Crowder, 80, of Shoal Road, passed away on Wednesday, March 20, 2019 at Atrium Health - Lincoln. Bobby was born on July 19, 1938 in Cleveland County, NC a son of the late Ray Crowder and Vangie Grigg Crowder. He was retired from Vermont American in Lincolnton and was a member of Messiah United Methodist Church in Vale. In addition to his parents he was preceded in death by a brother, Jerry Crowder and a sister Kay Price. Survivors include his wife of 58 years, Peggy Gales Crowder of the home; a daughter, Rhonda Hester and husband Allen of Lincolnton; one grandson, Luke Hester and wife Haley; a great grandson, Ryker Banks Hester; a brother, Don Crowder of Lincolnton and a sister, Rachel Starnes of Hickory; also surviving are a number of nieces and nephews. Visitation will be from 12:00 to 1:15PM on Saturday, March 23, 2019 at Stamey-Cherryville Funeral Home. A Graveside service will be held at 2:00PM at Zion United Methodist Church Cemetery in Lincolnton with the Revs. Jerry Goodman and Kevin Miller officiating. Burial will be in Zion United Methodist Church Cemetery in Lincolnton. Memorials may be made to Zion Cemetery Fund c/o Messiah United Methodist Church 4102 W. NC Hwy 27 Vale, NC 28168. Stamey-Cherryville Funeral Home & Cremation Service is serving the family of Mr. Crowder. To plant a tree in memory of Bobby R. Crowder, please visit our Tribute Store. "Email Address" would like to share the life celebration of Bobby R. Crowder. Click on the "link" to go to share a favorite memory or leave a condolence message for the family.